The Graduate Institute of International and Development Studies is a Swiss institution of research and higher education dedicated to the study of world affairs, with a particular emphasis on the cross-cutting fields of international relations and development issues. 5’000+ online applicants per year With increasing number of study programs, shorten programs, high user population rotation rate and increased usage of cloud solutions, Graduate Institute of Geneva wanted to improve its user identity governance and application security with a limited IT budget. These were the trigger to initiate an implementation of a dedicated identity management solution. Under budget pressure with short deadline constraint and limited availability of internal resources the choice of an IDaaS solution was clear: no installation cost, limited administration, OPEX model vs CAPEX, encourage usage of standards vs custom development. We started the implementation project by focusing on the new student user category because of limited risk, high business value and expected ROI. First phase of the implementation project was dedicated to the analysis of the student on boarding business processes: clerk interviews and reverse engineering application analysis. This enabled us to simplify business process by removing unnecessary and low value steps, identify target application repositories, data structure and quality rules. Transition and production phase were straightforward: import of the new student data, mail invitation campaign, administrator training. The admission process duration lasted 3 days instead of 3 weeks. 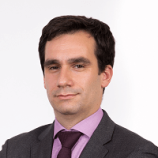 This is due to a central and unique tool to execute the process, a structured and automated communication between process actors, business rules enforcement. Onelogin enable a single trusted identity data repository that simplified update process. The self-service feature delegates to end user data check and update process. Usage a IDaaS solution removed internal homemade components and all maintenance related operations. Onelogin is now responsible of the SLA. Onelogin out of the box features provide: single account for all applications, second authentication factor for sensitive data access, GDPR compliant with user consent, pre-defined audit reports. 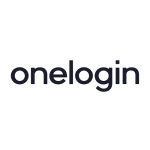 Onelogin application connector enables Single Sign-On for all on-boarded applications. Security rules are enforced regardless the user device. Forgotten and change password process are supported by self-service.